Chunk is a fan of TV programme Ben and Holly's Little Kingdom so was more than happy to test a new range of their toys! 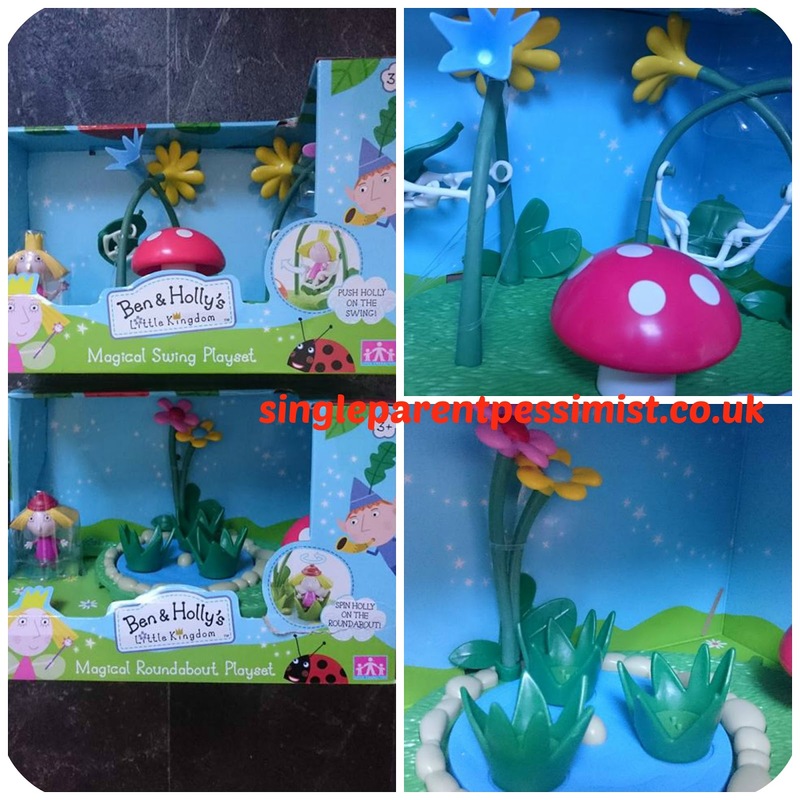 Character have a range of Ben and Holly toys aimed at ages 3-4 and these include play sets that can combine together to create mini parks for the characters. Chunk tried the Playground Playset and Roundabout set which came with a Holly character. Thankfully no setting up was needed from me as they come fully made, and for small plastic toys they seem to be quite sturdy. This is essential when you have a heavy-handed little boy who likes to get various action figures and dinosaurs to sample the play sets too. Chunk's favourite was the roundabout as he was able to sit his figures on it and spin them fast or slow. And of course when the TV programme comes on each morning at breakfast these two playsets immediately get whipped out to play with so it's safe to say they won't be gathering dust! The playsets were sent to Chunk to test for the purpose of this review. No payment was received and all opinions are honest and my own. Our little boy would love this.